We need your help today (Tuesday March 4th) at 1 pm at Classen SAS – please come and bring your snow shovel! We need to shovel off walkways to prepare for DISNEY coming to Classen. 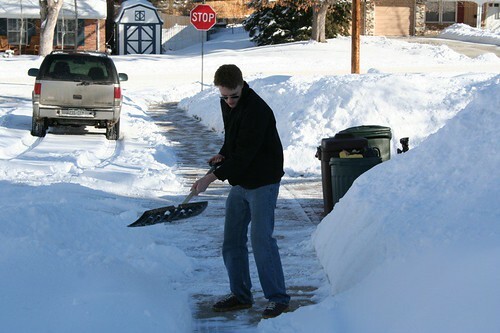 Walkways at Classen will not be cleaned off in time for the morning festivities if we don’t do this! Tomorrow representatives of The Disney Corporation are coming to ClassenSAS for a special presentation. We have been selected as one of five high schools in the nation to receive this award, but we are scheduled to just have 1 custodian at 6 am on Wednesday shoveling our walks – and there is a lot of snow to move! STUDENTS and Parents come on!! Dixie Hendrix has 6 shovels, but please bring your own. Shouldn’t take more than 1 hour. Dixie is providing pizza to eat afterwards. Please come join us!